Seek To Know The Truth: The Late Great Rapture Theory? 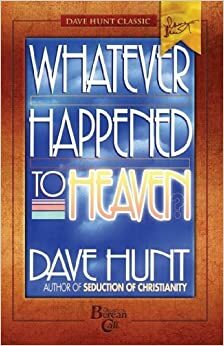 An excerpt from Whatever Happened to Heaven? The Late Great Planet Earth had only suggested that Christ’s statement concerning “this generation’’ might possibly indicate a fulfillment within 40 years from Israel’s rebirth. Yet that possibility had metamorphosed (though not so intended by Hal Lindsey) into necessity in the thinking of so many Christians that when 1981 came and went without the rapture there was considerable disillusionment with the pretribulation position. Doubts had already been mounting as that key date had approached. In fact, by the late 1970s the posttribulation view had gained a substantial following even in denominations and institutions that had long been bastions of the (until then) dominant pretribulation position. Needless to say, January 1, 1982, saw the defection of large numbers from the pretrib position. At that point, however, the posttrib theory looked no better, because the Great Tribulation obviously had not arrived on schedule. To many it seemed that the only option remaining was the postmillennial view, a minority belief that had all but died out among evangelicals. After being generally written off, however, as Gary North admits, and in spite of the apparent unreasonableness of the AD 70 scenario, the postmillennial view is once again staging a dramatic comeback. Now that 1988 has become history without the appearance of the Great Tribulation or the Antichrist—and with the prospects of Armageddon fading into the future...the controversy is no longer between a pre-, mid-, or posttrib rapture as it has been for so long. The issue has become “rapture or no rapture.’’ And the latter view is gaining strength so rapidly that it promises to become the predominant belief in the near future. While most postmillennialists believe in a rapture, as we have already noted, it is so far in the future as to have little practical effect upon an individual’s life and offers none of the purifying and motivating hope normally associated with the expectancy of the imminent return of Christ. Most Christians no longer know what they believe about prophecy and now realize that their previously held opinions must be given an honest and careful review. Many who were once excited about the prospects of being caught up to heaven at any moment have become confused and disillusioned by the apparent failure of a generally accepted biblical interpretation they once relied upon. Those who believed in the rapture because it was popular are, of course, abandoning it now that it has become unpopular. They never had a good reason for what they believed based upon their own carefully weighed convictions. It is sad that so few Christians know the Bible for themselves. The expectancy of the Lord’s soon return which was so evident in the 1970s at the peak of the popularity of Hal Lindsey’s The Late Great Planet Earth has all but vanished from the church. Today there is scarcely a favorable reference to the rapture from most pulpits. And the hymns that once expressed the church’s longing for heaven are now heard only at funerals. You can study books about going to heaven in a so-called “rapture’’ if that turns you on. We want to study the Bible to learn to live and to love and to bring heaven to earth. Is this issue even worth discussing? After all, what does it matter when Christ comes or when or how the kingdom is established? Is eschatological debate of any significance? A partial answer would lie in the fact that “last days’’ prophecy is a subject that takes up about one-fourth of the Bible. How could we dare to suggest that the Holy Spirit would give such importance to something that in the final analysis really doesn’t matter? Based only upon the amount of attention given to it in the Bible, when and how and why Christ returns must be of great importance both to God and to us. We need to seek to understand why. One reason for the significance of this issue should be quite obvious. Paul tells us that Christ is going to catch His bride away from this earth to meet Him in the air— “and so shall we ever be with the Lord’’ (1 Thessalonians:4:17). Consequently, those who expect to meet Christ with their feet still planted on earth—a “Christ’’ who has arrived to take over the kingdom they have established in His name—will have been badly deceived. In fact, they could have been working to build the earthly kingdom for the Antichrist. Yet this teaching that we must take over the world and set up the kingdom for Christ has become the fastest-growing movement within the church today. Not only is this blatantly deceptive, it is not part of the new covenant at all! We must beware that in our zeal to “change the world for Christ’’ we do not become so wedded to an ongoing earthly process stretching into the indeterminate future that we lose our vision of heaven. We cannot be truly faithful to the totality of what Scripture says unless we are sufficiently disengaged from this world to be ready to leave it behind at a moment’s notice. There is no need for Thee to come now at all. Thou must not meddle for the time, at least. . . . fortunately, departing Thou didst hand on the work to us. Thou has promised, Thou hast established by Thy word, Thou has given to us the right to bind and to unbind, and now, of course, Thou canst not think of taking it away. Why, then, hast Thou come to hinder us? All human beings are tempted to be more at home in this world than they should be. Christians are not exempt from this temptation, and when they succumb it often leads to an effort to reinterpret Scripture accordingly. Reconstructionists exemplify this temptation. Christ’s return before they have taken over the world would be as inconvenient to the Reconstructionists and others in the kingdom/dominion movement as it was to the Grand Inquisitor, and for the same reasons. Behold, I show you a mystery: We shall not all sleep [die], but we shall all be changed, in a moment, in the twinkling of an eye, at the last trump; for the trumpet shall sound, and the dead shall be raised incorruptible, and we shall be changed [all, dead and living, in one instant].